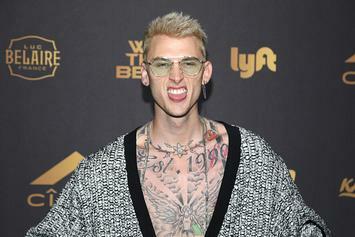 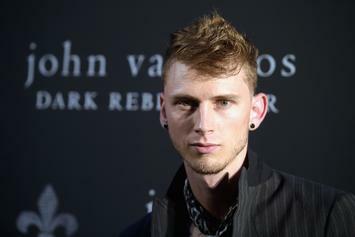 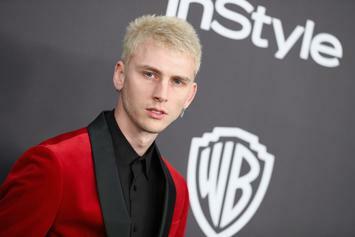 Machine Gun Kelly dons the devil horns once again. 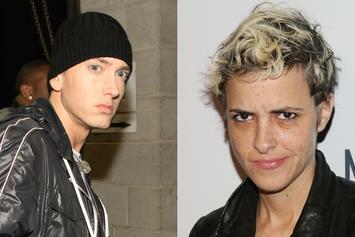 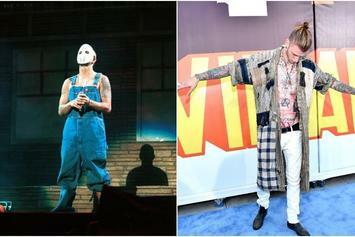 Eminem's energy toward Machine Gun Kelly hasn't changed in the slightest. 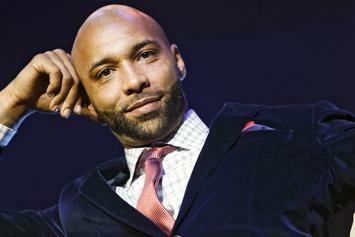 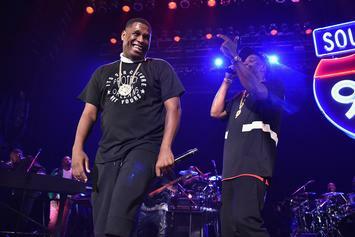 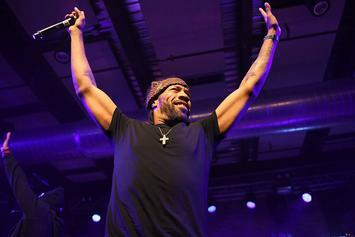 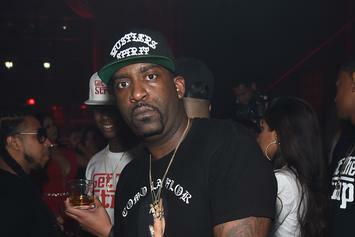 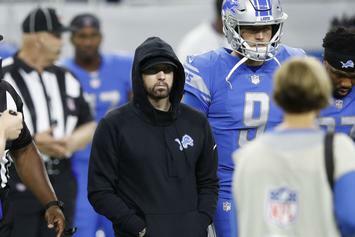 When it comes to Eminem and Machine Gun Kelly's spirited tilt, even Reggie Noble has his limits. 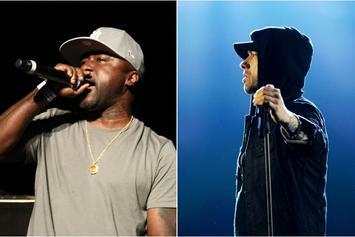 Havoc makes it clear where his loyalties lie. 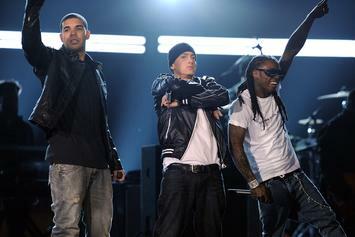 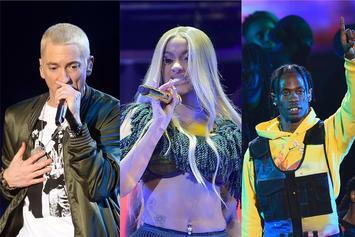 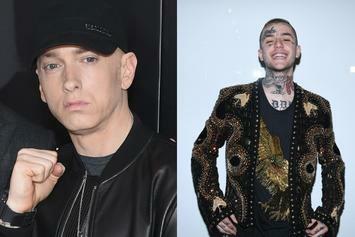 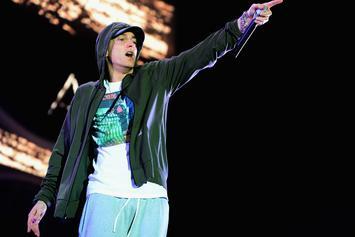 Eminem just falls short of Kanye and Lil Pump's numbers. 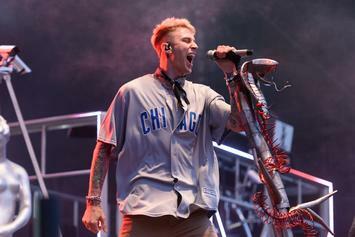 Eminem's Machine Gun Kelly diss, "KILLSHOT," is #1 for the second week in a row. 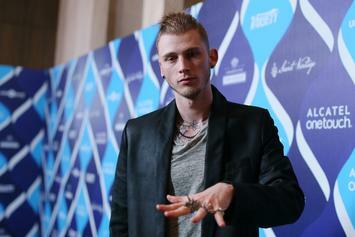 MGK Disowns Eminem: "Can We Pour Some Out For This Old Dumbass?" 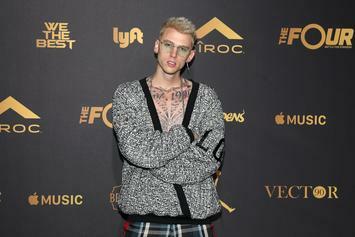 Machine Gun Kelly takes to the Breakfast Club to give his perspective. 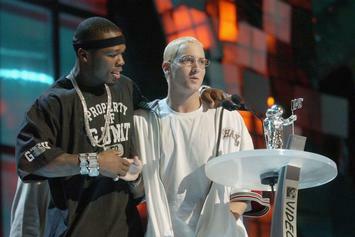 50 Cent is supportive and envious all at the same time. 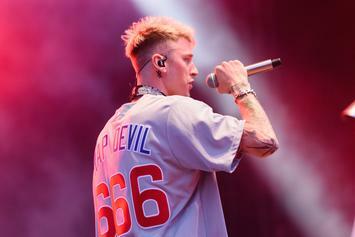 It appears the footage of MGK getting boo'd performing "Rap Devil" is fake. 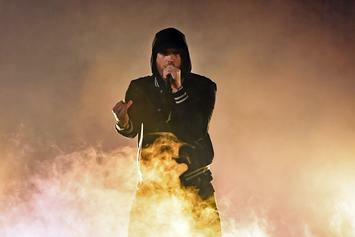 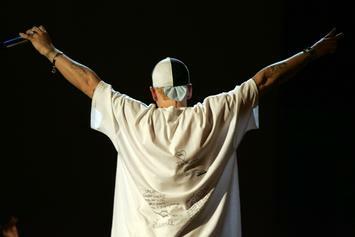 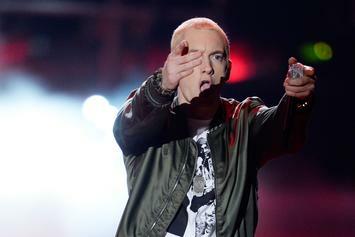 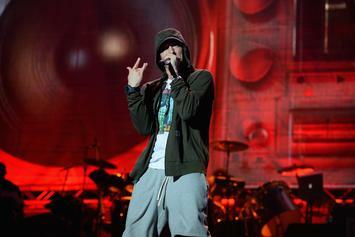 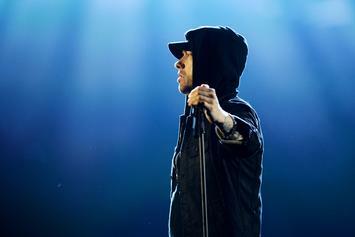 Eminem's "KILLSHOT" is the third overall biggest debut on YouTube ever.